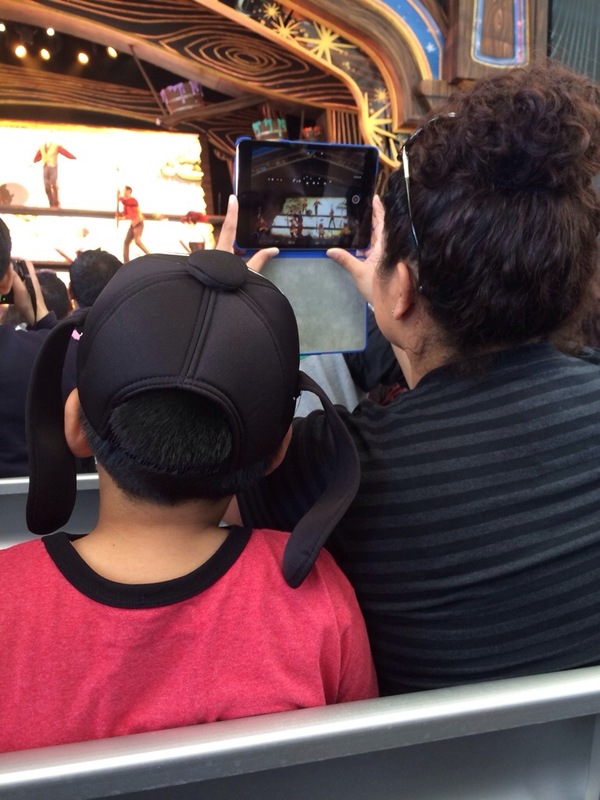 People love to take photos and record video, especially while visiting the happiest place on Earth. So do I (and I take tons)! But has your view ever been blocked by someone in front holding up their camera the entire time? Here are my 3 reasons to just put the camera (or iPad, especially) down and enjoy the show. 1) Someone has almost always already recorded the Disney show you’re about to watch, and it’s in better quality than your camera phone. They also had a tripod for a steady shot. Search YouTube for “World of Color” or “Fantasmic,” you’ll see. They’re in HD too! 2) It makes you look bad. You become that obnoxious person to people behind you. And in the case of the iPad Mini lady in the photo above, you come off as extra obnoxious for blocking the view with a 7.9″ screen. 3) You paid good money to be there, why not enjoy the show how it’s meant to be? Real life is the most “high definition” you can get. Plus many of the shows incorporate a physical element which which can wow you if you just let it, like the bubble snowflakes in the World of Color holiday show, or the magic flying carpet in the Aladdin show. For some Disneyland visitors, this may be a once in a lifetime trip to the park. So take some pictures, that makes sense. But if you won’t be back for awhile, that’s even more reason to watch the shows with your own eyes.